Continuing a 5-year tradition, Divi Resorts’ Aruban destinations are once again sponsoring the ever-popular 2018 Soul Beach Music Festival taking place May 23-29. 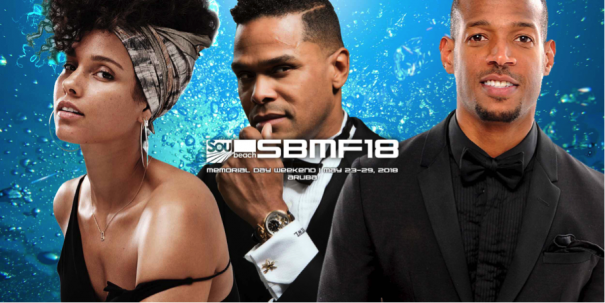 Voted one of the “Top Five Caribbean Celebrations” by USA TODAY, this year’s event features R&B legend Alicia Keys, neo-soul singer-songwriter Maxwell and actor and comedian Marlon Wayans, among others. Boasting world-class performers and lively beach and nightclub parties, the Soul Beach Music Festival is just a short walk from Divi’s stunning Aruba properties – Divi Dutch Village Beach Resort, Divi Village Golf & Beach Resort and Divi Aruba Phoenix Beach Resort. To enter, simply visit https://www.diviresorts.com/aruba-soul-beach.htm, and scroll to the bottom of the page for instructions. Plus, receive 500 extra entries for following @DiviResorts on Instagram. For reservations, book online at https://www.diviresorts.com/aruba-soul-beach.htm or call 1-800-367-3484 (Toll-free US) or 1-919-419-3484 (International). For group reservations, please call 1-800-801-5550 or email groupsales@diviresorts.com. *All-inclusive rates are based on double room occupancy. 3-night minimum stay required.